The mobile drum dryers are portable when using wheels or a forklift. The dryers are made for 2-4-6 or 8 drums. Every drum position is equipped with its own fan. 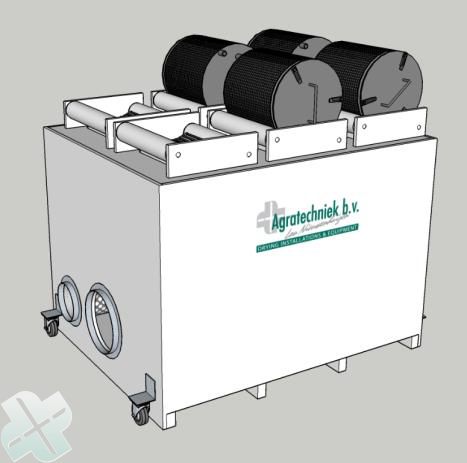 Therefore the air quantity can be adjusted per drum. 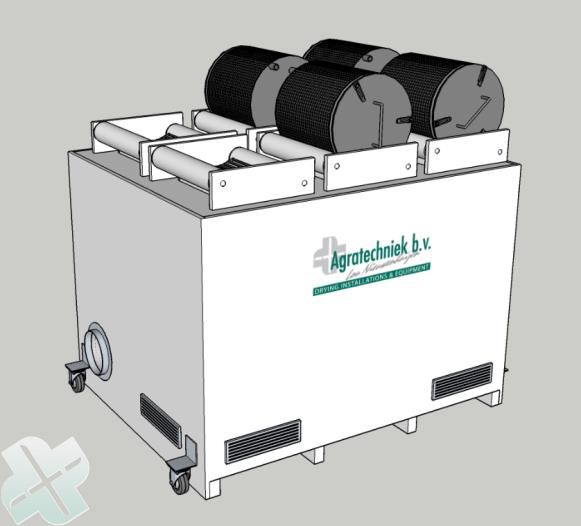 The temperature can be configurated individually per rows of 2 drums. In this version the air enter the drying space through the drums. 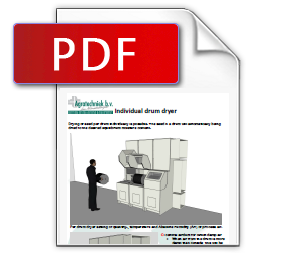 The drum dryer can be equipped with a closed cap, so the air from the drums can be discharged. Above you see a version in which the air is suctioned from the space. There is also an inlet (bottom left), which can be connected to a central dry-air installation. At the right a mobile drum dryer with an external air connection. 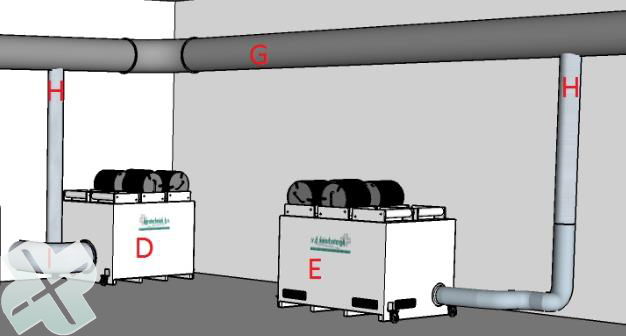 Below you see mobile drum dryers connected to the supply pipe containing dried air from the central air dryer. D: Dryer with outside air suction. E: Dryer with space air suction. Thanks to the central air dryer installation, you will have a highly flexible drying process and you can utilize the dried air economically; the drying process begins with heated up air. Only when dried air is necessary during the phase of the installation, it will be supplied.